/ News / Upcoming Splatoon 2 splatfests ask: Who's your favourite Ninja Turtle? Nintendo have announced a partnership with Nickelodeon to bring one of life's most important questions to arena-shooter Splatoon 2. Players in the U.S. and Europe will duke it out in a series of splatfests to decide who is the greatest Teenage Mutant Hero Turtle. 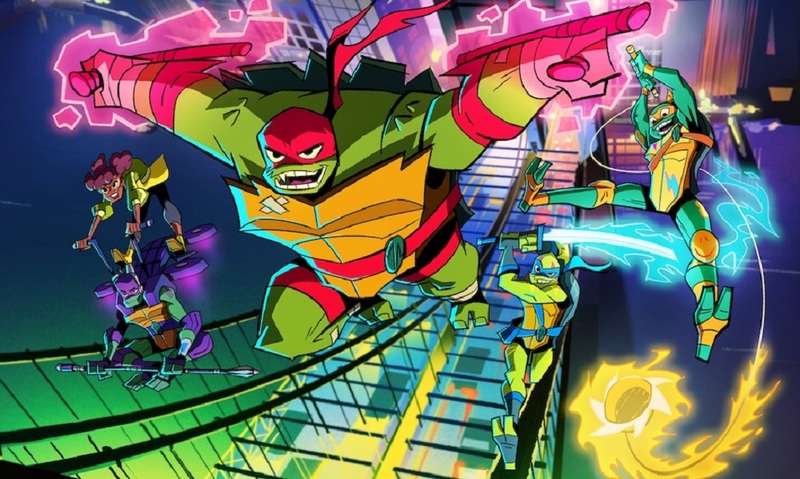 The first round takes place on the weekend of May 4 and will see cool-but-crude Raphael take on team leader Leonardo. One week later, party dude Michelangelo will battle it out with Donatello, who does machines. I'll admit it hurts a little to see Pearl side with the wrong choice in that particular face-off. The winning turtles in both rounds will then square off in the Grand Finals one week later. In the U.S, each splatfest will run from 21:00 PT on the Friday until the same time on Saturday. In Europe, the splatfests will take place from 15:00 CET on the Saturday until the same time on the Sunday.